The cloud is a broad system of integrated and competing internet products and services. It’s power today is far reaching and it has become an integral part of how businesses operate in the 21st century. Financial institutions, professional sports, entertainment, and healthcare are just a few of the industries that cloud computing has transformed in just a few short years. It’s common for businesses and entities with deep pockets and bigger teams to be at the forefront of technological adoption. It’s no surprise that a companies like Spotify or Netflix are only possible because of the cloud and have divided their resources to invest more deeply in it. But what about the little guy? Smaller businesses and entrepreneurs want to know how they too can utilize cloud technology to their benefit. Are you one of them? If so, what products and services are right for you? In order to start figuring this out, there are a few things that would do you well to understand. One of them is knowing the difference between common terms like SaaS, PaaS, and IaaS. Once you do, you’ll be able to better make sense of the various cloud-based solution available to you. 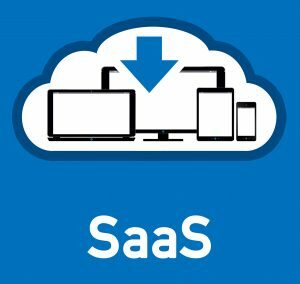 SaaS stands for Software as a Service. Simply put, SaaS products are application services that represent the largest, continuously growing part of the cloud market. Think of your most commonly used or favorite desktop applications. Now imagine using them as you would every day, except that they no longer exist on your desktop computer or laptop – no downloads, and no installations. With SaaS products, this is what you receive – anytime, anywhere access to nearly any application you can think of. From QuickBooks, the Microsoft Office suite, payment portals and more – the future of business is being done with the same tried and trusted tools, but in a revolutionary new way. 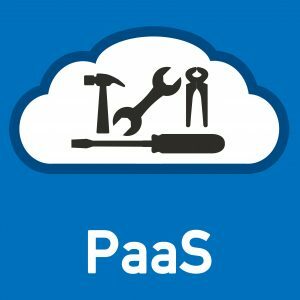 PaaS stands for Platform as a Service. If SaaS products are like apps, then PaaS is like the operating system that allows them to run. The main difference is that just like apps in the cloud, platforms can also be entirely remote. PaaS makes development and testing of applications quick and cost effective. A company that has its own PaaS can test out its own custom built apps in their very own virtual environment. PaaS allows a collaborative platform for software development and workflow management without the regard to the data source being used for the app. In addition, the power of PaaS can be seen in its ability to utilize proprietary data from any number of applications. This allows new applications to be built with common data types that can seamlessly integrate with the most popular CRMs like Salesforce and Marketo. When multiple software developers need to work on a single project across multiple environments, having a universally accessible platform on a single share-point makes complete sense. 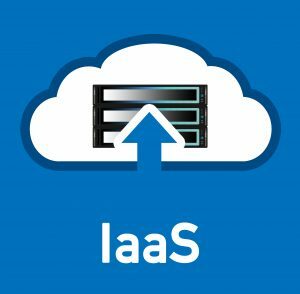 IaaS stands for Infrastructure as a Service. One of the biggest costs associated with in-house IT solutions is maintenance and cost. Times have changed. The move towards outsourced servers, software, data center space, and network equipment is the only way businesses will be able to compete in today’s rapidly changing technological landscape. IaaS can be classified as public, private, or a hybrid type. Public cloud is infrastructure that consists of shared resources amongst a variety of users. Private cloud is infrastructure that exists and operates on a completely private network. The latest trend is a combination of the two into a hybrid solution or “hybrid cloud”. In any case, the benefits of IaaS cannot be overstated. It offers variable cost, scalability, and quickly implemented hardware changes that function as a seamless service – rather than an IT headache. Choosing the right cloud provider will be key to your success. Why? Because although providers offer “cloud computing services” not all clouds are created equal. Virtual environments can vary greatly depending on connection speeds, available apps, user limitations, and technical service competence and expertise. So what is Cloud9 Real Time? We are the all encompassing solution to your SaaS, PaaS, and IaaS needs. At Cloud9 we offer nearly 1000+ apps in a variety of public, private, and hybrid environments. We don’t just offer cloud hosting – we offer technological solutions through 100% custom builds. Interested in taking you efforts to the next level? Contact us today to experience freedom, mobility, and savings.